Baccarat was originally derived from the European games Chemin De Fer and Punto Banco, but is traced back as far as 1490 when the Italian baccarat was introduced in France. It because the preferred game of French nobles during King Charles VIII’s reign and was first brought to Vegas in 1959, where it quickly became wildly popular. Baccarat has a reputation of mystery and romance and is sometimes viewed by outsiders as a much more complex game than it really is; it is as simple as a bet on a coin flip. Despite the fact that baccarat is offered at most American casinos, many casino patrons have never tried it because they are intimidated by the game, especially since it is favored by high-rollers. The often roped-off and seemingly elite Baccarat playing area in casinos doesn’t help either, though it is necessary as part of its luster. However, the truth is that Baccarat’s secrets aren’t really secret and can be easily mastered with a bit of training, just like any game. Today, Baccarat is also known around the world as punto banco and is especially popular among Asian gamblers, being extraordinarily prevalent in Macau. Baccarat is played with a six-deck or eight-deck shoe. The casino will determine whether the players will deal or a dealer will handle the cards. 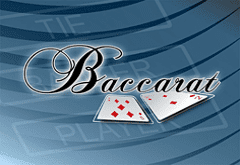 Online Baccarat features a virtual dealer, so that the cards are dealt automatically. Face cards, as well as 10s have no value in Baccarat, and suits are also irrelevant. Cards with values lower than 10 are counted at face value, with Aces being worth 1. Only single-digit cards are applicable. If a count reaches double digits (e.g. 8 and 7 for a 15 count, the left digit is dropped (15 is counted as 5). The objective of a Baccarat bettor is to bet on the hand that he believes will result in the highest total value. Baccarat, one of the most popular online table games, consists of two principal bets: banker or player (hence, the name punto banco), as well as the rare standoff bet. All players, including the player who may be dealing, may bet on the banker or the player, though it is standard for the dealer to bet on the bank. If a player doesn’t want to deal, he may pass the shoe to the next player. The shoe will remain with the same player for as long as the bank is winning. If the player wins, the shoe will move to the next player. Two hands are dealt and bets are made on which one will win or whether or not they will tie. The dealer places 2 cards faced down under the shoe and deals the player with the largest player bet the second 2-card hand, face down. Each hand will have a minimum of 2 cards, but never more than 3 (a third card is dealt only under specific conditions, though an understanding of all third-card rules is not necessary for basic Baccarat play). If a hand totals 8 or 9, this is a natural, and that player will stand (because 9 is the highest hand value possible). If a hand is less than 5, the player can hit, otherwise he stands, which dictates the subsequent action of the banker. The player views the cards and hands them back to the dealing player, who then turns over both hands to reveal the winner. The highest count hand wins. Losing bets are typically collected first, and then winners are paid. The payoff is even money 1:1 (except standoff, which pays 8:1 or 9:1). Betting on the bank will cost you 5%, payable to the casino, the built in house advantage. This is because in 8 decks, the bank will win 3 to 4 hands more than the player. A closer look at Baccarat reveals that it is by far one of the easiest, if not the easiest, casino table games to learn. With very few rules and a short hand duration, Baccarat is simply simple and appeals to high-rollers and mysterious bettors because it offers an easy bet, and its odds lend well to big bets. For the casino bettor who doesn’t want to have to think about a complex game and various bets and rules, or who wishes to bet large amounts with minimal outcome possibilities, Baccarat is likely a perfect fit.